Have you ever even heard of these shoes before? I didn’t before I met Chet “The Jet” whom was a double Ironman athlete I hosted in my home a few weeks ago. Chet is from Hawaii and he nonchalantly mentioned these shoes as he was telling the tale of his son whom was running across the country. He was even went on to mention that he sent a pair to a point in Alabama where he knew he son could pick them up, and the response, nothing but sure gratitude for the gift. That was the point I had to give them a try. Hoka One One is not well known here on the east coast, but in the community of ultra runners they have been known since their inception in 2010. Obviously this is a relatively young company which falls under the Deckers Outdoor Corporation umbrella whom also houses brands like UGG, and Teva. With the increased popularity of Ultra and Marathon running, I believe these will take off to even higher levels in the very near future. Why? Well let me tell you. What also surprised me was the structure looks like a normal running shoe, like any Asics Nimbus, or Brooks Ghost which has a 12mm heel drop. They say looks can be deceiving, and with these shoes they are. They also have the same heel drop as the Brooks Pure Project line as well. The flexibility in the forefoot is probably the only disadvantage of this shoe versus my own running shoes and even that is minimal, and I believe probably after running in them for a little longer even that would become pliable enough to create more flexion. The sole not only provides superior cushioning upon impact, it also is slightly wider which increased the stability as well. It seriously was like running on a cloud. I always preach good running form, and if you have naturally good form, impact is not usually an issue due to a proper lean, raised knee, and high cadence. I found myself not having to think about my posture and position, because the rocker-ed sole of the shoe did not inhibit, but encouraged a good strike and lean. Just for the fact a few of my clients are still trying to get into the habit of good form, I decided to jump rope, and do some box jumps in order simulate the impact. I barely felt anything, and I had full control of my feet. i really thought I would end up kicking the rope especially doing double-unders, but I had complete control and I barely felt the impact doing the box jumps. I could totally understand why these shoes are so popular with the marathoners and ultra-runners on the other coast. The more people start wearing them here, I believe they will gain popularity pretty quickly. The retail price of the Hoka One One Biondi S2s are $170.00 which seems even high for a running shoe, but like the Newtons, they have a much higher mileage output. In my research I have found these shoes have been averaging over 700 miles without any degradation of the sole or cushioning. An ultra runner friend of mine said he had 3 pair of these he was switching out, and his current count is at 3048 miles and he has no intention of getting new ones yet. Most running shoes will get up to 350 miles, and my favorite Pure Project line rates there own shoes at 250 miles and cost around $100 retail. They do take some getting used to. They do feel bigger, but not heavier. I do like that I was 5’11’ with them on, instead of 5’8″ and change. Personally, I do not think I would use them for a half marathon or below. 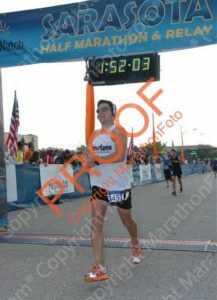 I like the feel of the road a little too much, but you better believe I will be running the Chicago Marathon in them. 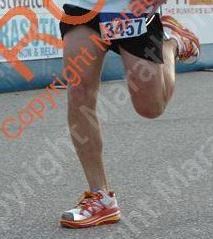 I give the Hoka One One Biondi Speed 2s, 4 out 5 Goofs. 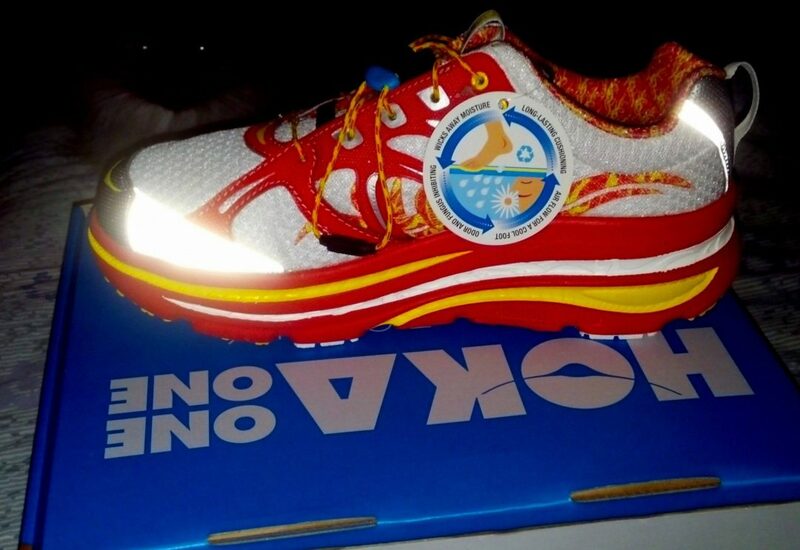 Hoka One One has several other versions of shoes, for different fits, and surfaces. More information can be found on their web site. The 1st week: Are my goals realistic? Hi there, could you please compare the sizing to your Brooks Pure Cadence’s? Did you go with the same size in the Hoka’s? Good question. I wear the exact same size in both. 9 1/2. Great review… I had been looking for something like this. My thought exactly on the minimalist verse bulky shoe. 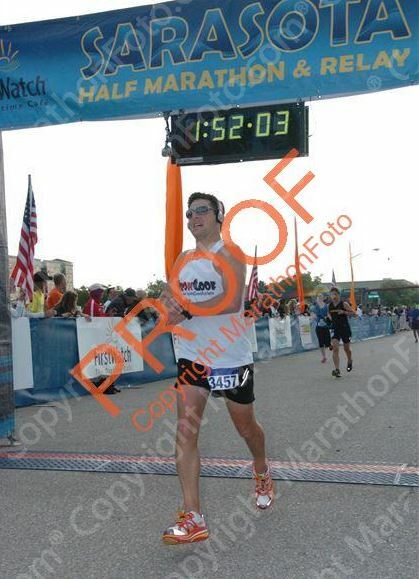 When I saw photos of the Hoka’s the size scared me a little. But they feel light. And with the miles of trail running pounding my feet I need more cushion. Thanks for the advice… I am getting a pair!